Your One-Stop-Shop for Taylor® Products in South Florida. 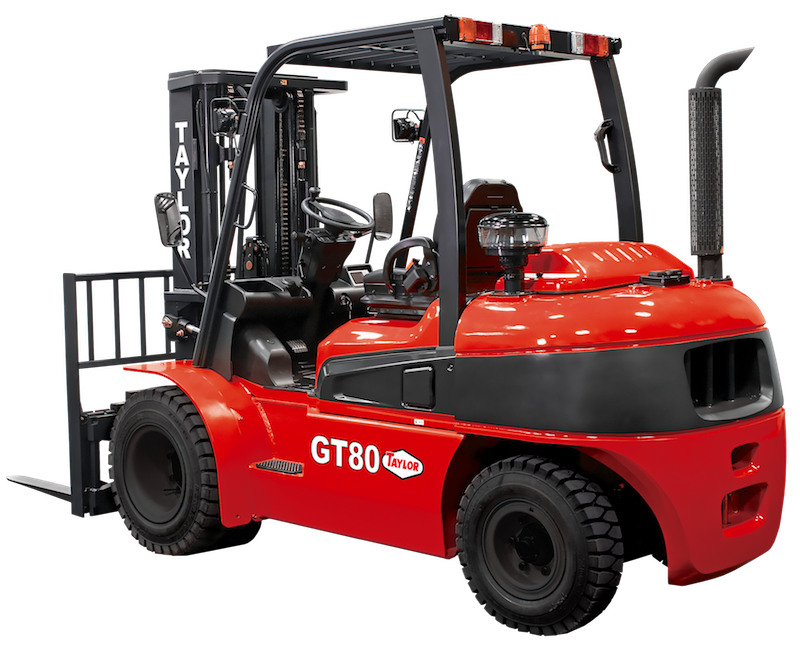 We offer a full line of Taylor Forklifts and Material Handling equipment, with capacities ranging from 16,000 - 125,000lbs. Taylor Sudden Service is your direct source for Wiggins™ Marina Bull sales, parts, and service for the entire state of Florida. Whether you are in the market for a new marina forklift truck or need help with your existing Wiggins Marina Bull, Taylor can help. Taylor Sudden Service is your direct source for Rail King® sales, parts, and service for the entire state of Florida. Whether you are in the market for a new Rail King® or need help with your existing railcar mover, Taylor can help. Sudden Service, Inc. provides exclusive worldwide distribution of genuine Taylor OEM parts and forklift service for equipment designed, manufactured, and marketed by Taylor Machine Works, Inc.
Taylor Pneumatic Tire Forklifts are reliable, tough, dependable and long lasting heavy duty lift trucks. These trucks are built to withstand the harshest industrial applications on the planet. With capacities ranging from 16,000 - 125,000lbs. 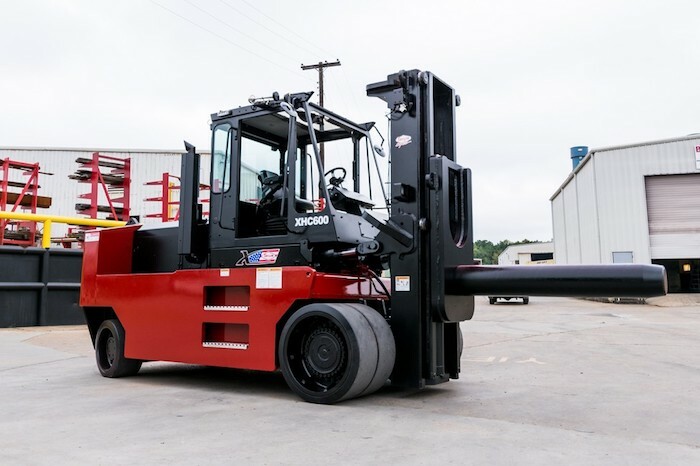 Taylor Pneumatic Tire lift trucks are well suited to meet the needs of the following industries: Steel, Aluminum, Wood, Lumber, Concrete, Precast, Breakbulk, Intermodal, Ports, Rail and Stevedoring. 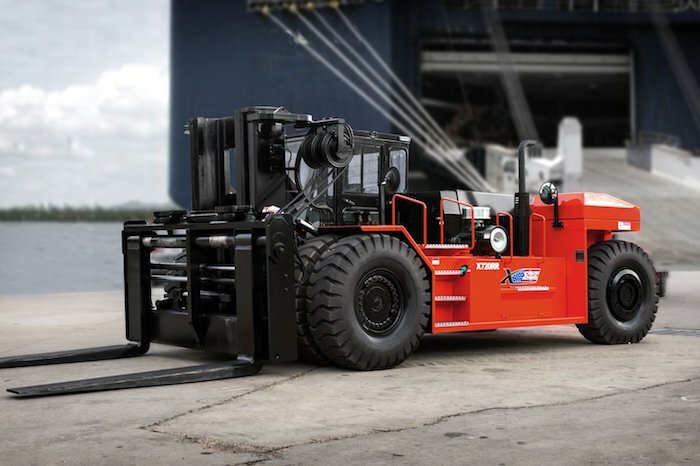 Taylor Reach Stackers are versatile heavy lifting material handling marvels. 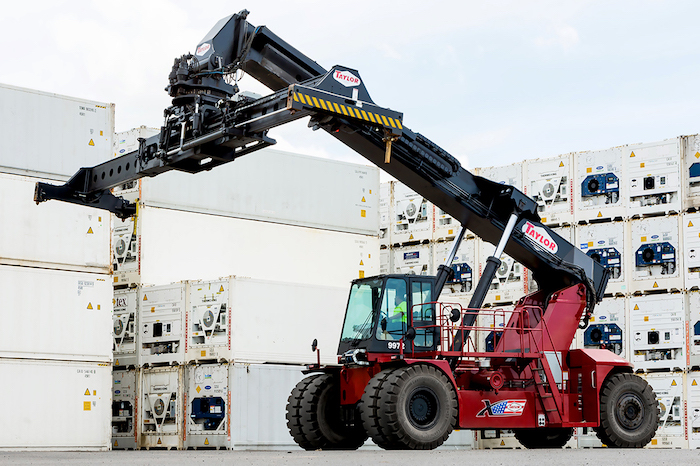 The XRS-Series Reach Stacker is the latest generation of innovative engineering delivering appropriate technology that brings premium value to our customers. 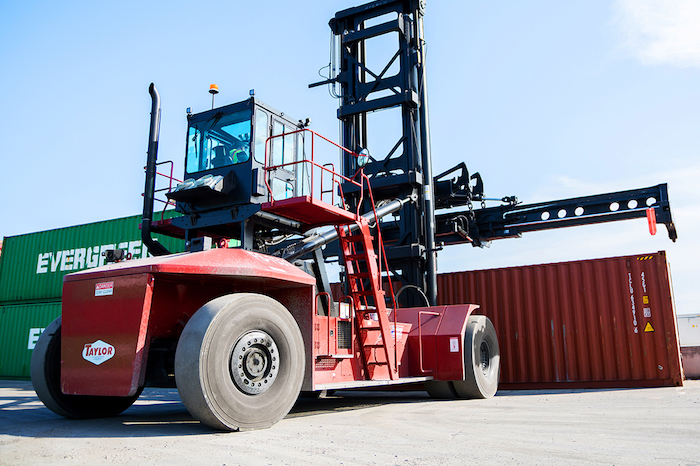 Available in a variety of configurations specifically designed for breakbulk, port operations, wind, steel, aluminum, rail, intermodal and stevedoring. Taylor Cushion Tire Forklifts are designed for smooth surface applications. Whether in a factory or warehouse environment Taylor Cushion Tire Lift Trucks provide unparalleled performance and maneuverability. Taylor Cushion Tire Forklifts are built to meet the needs of the Steel, Aluminum, Automotive and Rigging Industries. Taylor Machine Works has been designing, engineering and building equipment for the Forest Products industry for over 80 years. 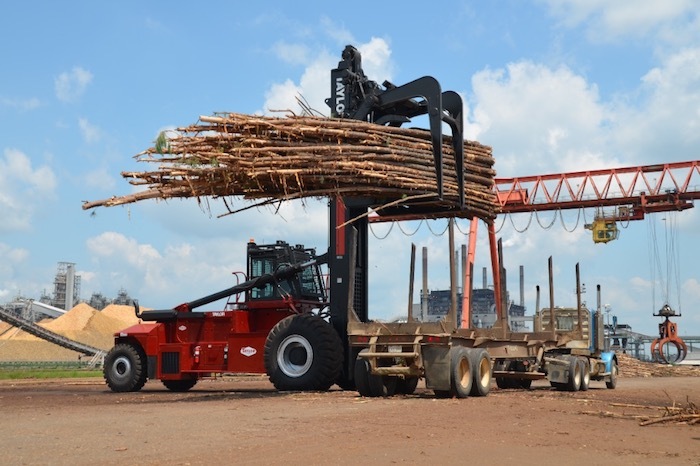 Taylor is currently manufacturing the 6th generation of our innovative, industry leading Forest Products Material handling Equipment. The Taylor Logstacker is used extensively throughout the U.S. Timber Industry and is renowned for its robust construction and rugged dependability. 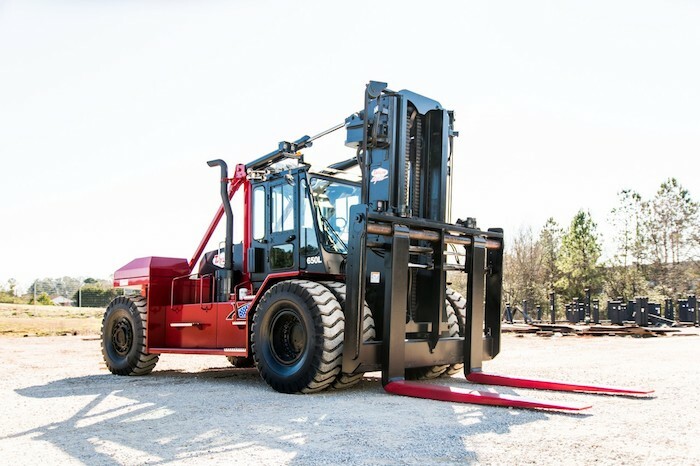 Taylor Machine Works also produces special purpose forklifts and material handling equipment, such as 4WD Articulated Forklifts, RO-RO Forklifts, Removable Counterweight Forklifts, Rigger Trucks, Platform Trucks, and Tow Tractors. 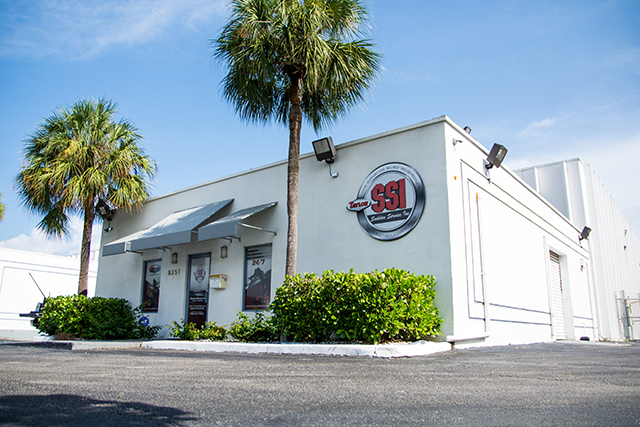 We carry a wide array of parts and are commited to building the best support network in South Florida. Our Mobile Parts Rep will be happy to assist you with all of your parts needs, both for Taylor products and the Wiggins Marina Bull. We also have a satilite warehouse in FT. Meyers, FL to provide our customers on the east coast faster responce to the parts and service needs.